The latest achievement in astronomical accuracy is an atomic clock that, had it been running at the time of the Big Bang, would still be correct to within a second today. 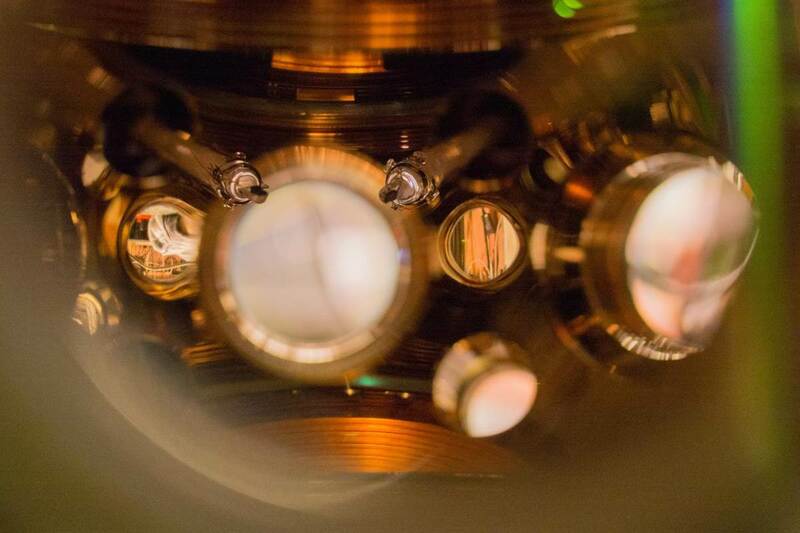 This atomic clock, built by the National Institute of Standards and Technology and the University of Colorado, was last year awarded the title of most accurate. Its creators have made it three times more so since then, as a new paper in Nature Communications explains. Now it won’t lose or gain a second over 15 billion years. Like other atomic clocks, this one observes the predictable oscillations of atoms to judge exactly how much time has passed. In this case, it’s strontium atoms, formed into a column-like structure and excited by a very specific wavelength of red laser light. This light is absorbed and cast off at a rate of some 430 trillion hertz — think of it like a second hand that has to tick 430 trillion times to get around the face of a clock. That makes for a heck of a stopwatch, which is just what scientists use it for. Knowing exactly how much time has passed is useful for all manner of experimental purposes, as well as coordinating with satellites for location purposes. This clock is so precise that it can detect the changing effects of gravity on the passage of time, letting it tell the altitude to within an inch. The researchers won’t stop there, though, and are already planning experiments for when the clock’s accuracy is even further improved.